At Data-Tech, information security is what we do. Supporting your IT Security drives our business and your network protection is our priority. We are an expert team of highly dedicated security specialists, supported by strategic and emerging technology partners, who are laser focused on information security for our customers. Data Tech’s philosophy is to build a long term, customer-focused relationship with you. This allows you to focus on building your business. It’s a simple formula. When your IT infrastructure is secure, you are free to focus your efforts solely on improving your business. As you grow and experience prosperity, that’s OUR success too. More than an IT security provider, we want to be your Cyber-Threat Prevention Partner. From small local businesses to large global enterprises, we work with hundreds of customers to help solve their security and compliance challenges, enhance resources and support, to help drive their business forward. Most importantly, when you’re a Data-Tech customer, we commit to you as your partner in information security. Your problems are our problems; we are personally engaged with your project from initiation through completion, and dedicate ourselves to your needs. Data-Tech will accept nothing less than your complete 100% satisfaction. 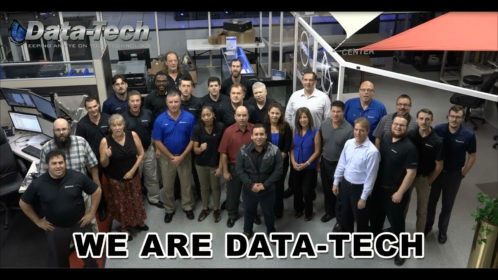 Don’t risk the success of your company- leave it to the IT professionals at Data-Tech.